Given the number of small breweries and brewpubs that span the United States, there are a great number of them that Lug Wrench readers have previously not encountered. To help explore some of these breweries and draw attention to the myriad of beers they make, Lug Wrench would like to introduce an series of posts on local breweries, ones that Jeff and I have the opportunity to explore and report on. The posts will focus on the individual brewery, its beers, and any themes that define the brewery and set it apart. 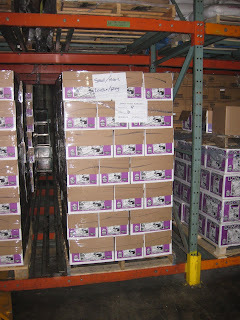 The posts may include follow on interviews with the brewers, where we can get that information. Clipper City Brewing Company, from Baltimore, MD, will start the series off. My wife surprised me with a beer-related day of activities for my birthday this year. The day included lunch at Du Claw Brewing Company and dinner at the Dogfish Head Ale House in Gaithersburg, MD. Sandwiched in-between these two wonderful culinary experiences, was a tour of Clipper City Brewing Company, which is located on the southern side of Baltimore. Clipper City beer has been a staple at my household for a couple of years now, since my wife discovered Loose Cannon, which has become her all time favorite beer. Thus, we had a great deal of excitement upon discovering that Clipper City gave tours, just a few short hours away from home. Clipper City Brewing Company was founded in 1994 by Hugh J. Sisson. Hugh is a sixth generation Baltimoriean and has been involved in the city's brewing industry since the mid-1980s. In 1987, Hugh and others lobbied the Maryland General Assembly to pass legislation that made brew pubs legal in the state. He first worked in Sisson's, located in Federal Hill, which he left in 1994 to found Clipper City Brewing Company. 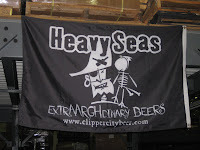 Clipper City's beers are marketed under the Heavy Seas label, which includes its 4 to 6% ABV ales - the Clipper Fleet, its stronger 7 to 8% ales - the Pyrate Fleet, and its strongest ales (greater than 8%) - the Mutiny Fleet. Heavy Seas beers are distributed in bottle and draft across the Eastern third of the country. Besides Hugh, Clipper City employs, Ernesto Ingot, Brewmaster, and Kurt Krol and Chris Mallon as brewers. The tour began with Hugh providing a theatrical reading of slightly-modified version of the Lord's Prayer, where beer plays a very prominent role (something akin to the text found here). As it turns out, Hugh has a masters degree in theater from the University of Virginia. 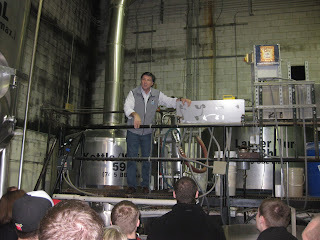 He also outlined the beers produced under the Heavy Seas line and provided a history of the brewery. 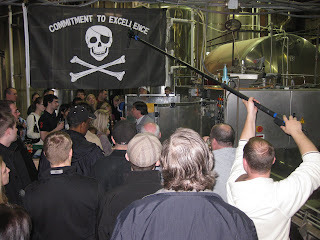 The tour itself covered all aspects of brewing operations and lasted for over an hour and a half. There are pictures at the bottom of the post. There were a couple of notable things we learned about Clipper City, while there. First was that they provide a wonderful and informative tour. 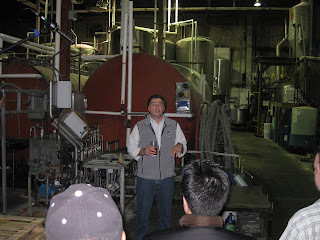 Hugh detailed all parts of the brewing process, including ingredient selection by actually handing out hops and grain. It is amazing what one one can learn by tasting and smelling raw ingredients. He explained how the actual brew day progresses with understandable analogies that the non-beer geek could understand. He discussed packaging and why no one should ever drink beer directly from the bottle (basically the bit of oxidized foam on the rim of the bottle, underneath the cap, tastes horrid). Hugh's persona and what could be best called stage-presence, made it all entertaining and highly informative. 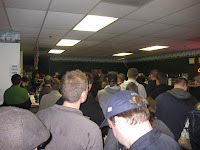 The other take home message was the importance of the Baltimore community to the brewery. Clipper City is named after the clipper class of ships, which was invented in Baltimore. The brewery hosts the local homeberwing club and an annual homebrewing competition, called The Letter of Marque. 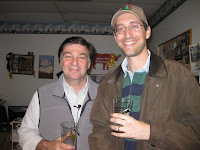 Hugh hosts a weekly radio program about beer on the local radio station WYPR, and has been active on many brewing and other fronts in his community. 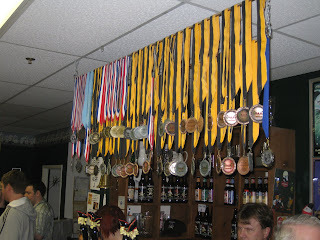 The brewery's community and local brewery focus was extremely apparent throughout the tour. If you ever find yourself near Baltimore, I highly recommend a trip to Clipper City for an entertaining tour and tasting some quality beer. 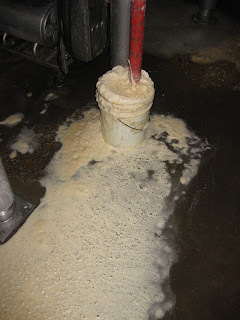 A VERY healthy fermentation . . .
You were lucky to get Hugh, he makes the tour so much better (the other guides are good, just not Hugh). Good stuff. Great recap. Glad you enjoyed! Nanobreweries - How Small is Small?